This shop has been compensated by Collective Bias, Inc. and its advertiser. All opinions are mine alone. #MyPledgeCastle #CollectiveBias One of my favorite things about our house is the wooden banister. When we built our home, we asked that they leave it unfinished so we could stain it and seal it ourselves. It was one of the most time consuming projects I’ve ever taken on, and with three coats of polyurethane (it took us 12 hours total) you can bet only use Pledge® Orange Clean Spray to care for it. Since the spring is officially here, I’m wanting to start going through and deep cleaning my house. The banister was at the top of the spring cleaning list and it needed a good polishing and dusting (especially at the bottom). Pledge® Orange Clean Spray not only cleans, it smells amazing too. It cleans, polishes and protects a variety of household surfaces including wood, laminate, stainless steel, leather, marble, granite and plastic. A banister is one of those things that takes a lot of time to dust because of how many bars there are. My favorite way to clean using Pledge® Orange Clean Spray (it also comes in a lemon scent) is with a microfiber towel. I’ll spray a generous amount directly onto the towel and to start dusting. I like to listen to some tunes to sing and dance while I dust. I figure it burns more calories and it’s more fun. A few of my other go-to products include Pledge® Multi Surface Everyday Cleaner with Glade® Rainshower®, it’s what I use to care for and clean all of the granite counter tops, for a smudge-free clean that won’t mess with the finish. I like Pledge® Floor Care to keep my laminate hardwoods and bathroom floors clean, it’s concentrated so this bottle will last a long time. I know my home can’t be perfectly clean all the time, but I feel most comfortable in my home when it looks and smells clean. I also feel more confident when entertaining and having guests in our home when it’s sparkling clean. I love that Pledge® products help me keep my castle and furnishings clean, smelling good, all while caring for them too. 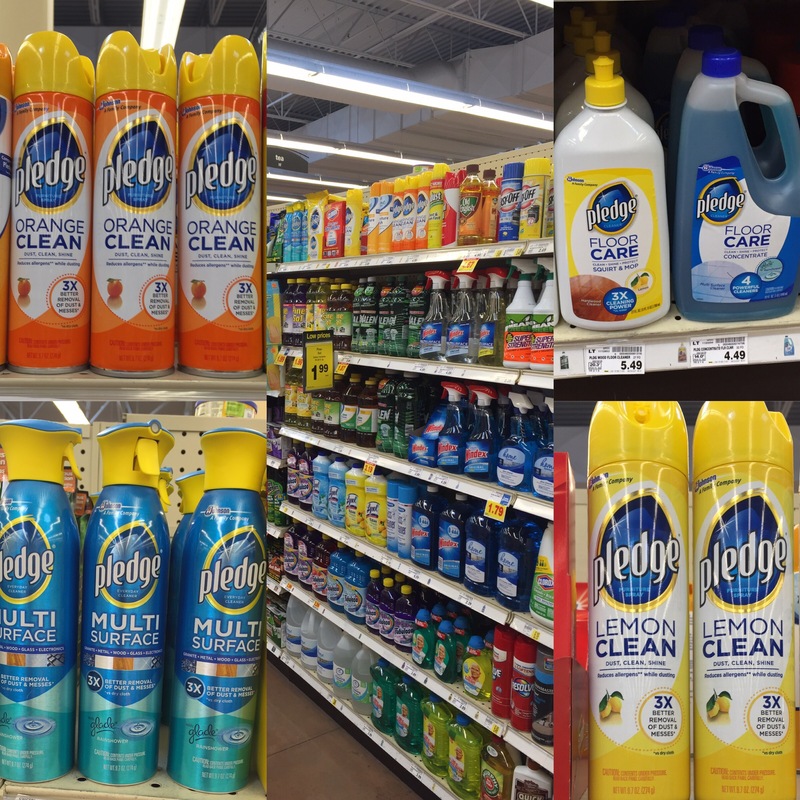 I found all of the Pledge® cleaning supplies at my local Smiths store in the cleaning aisle. Make sure to follow Pledge® on Facebook for more cleaning tips, coupons and special offers. 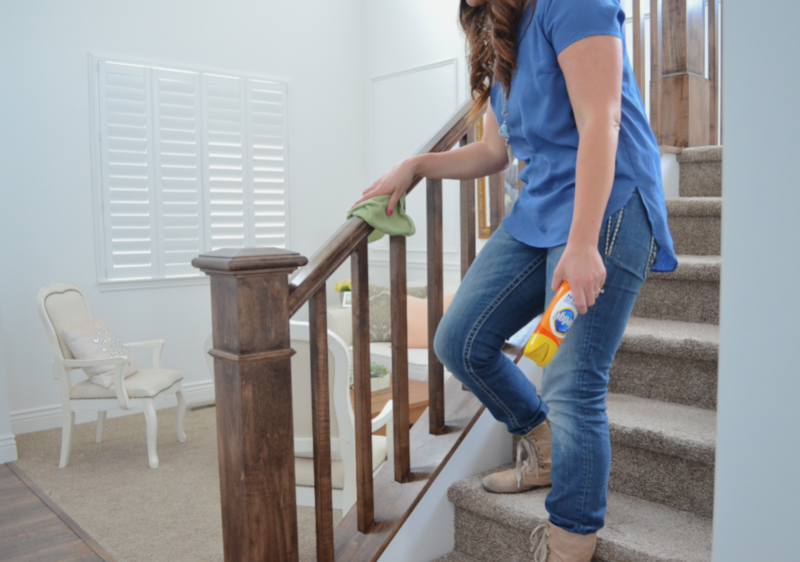 Which are your favorite Pledge® products to keep your castle sparkling clean?